The largest and most successful businesses in the world all have used branding in their marketing messages building their brand equities into billions of Pounds. M&S, Coca-Cola, Pepsi, Nestle, Vauxhall, Airbus, Kellogs, and much more have all successfully built their brand to the point where consumers know them by heart and trust their products enough to acquire them without debate to the safety or quality of the product. Branding is a long-term strategy for any business but should be strategized and implemented into marketing communications from the very beginning. 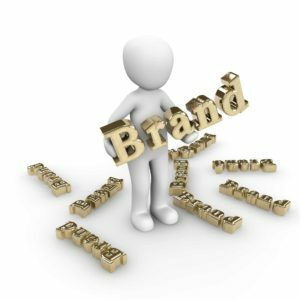 If you are a small brick and mortar business or even an online business in a small town or city, you should still understand branding approaches just the same as if you were a national franchise or corporation. If you are low on company funds, starting a branding strategy does not entail a large budget or advertising campaign. You can start small in various ways, some ways you may have already begun using. Watch the video below to grasp a better understanding of logo designs. Every company has a voice mail for when there is nobody there to answer. Make sure you use your business name in the voicemail twice. Once in the introduction and secondly in the end. "Thank you for calling Easy Sleep we are unable to answer your call at present, please leave your name and number and we'll get back to you as soon as possible. Thank you for calling Easy Sleep. " This message strengthens your company name building recognition helping condition consumers and customers to memorise your name from all the daily noise, and that is what you want to do in ALL communications. This section will apply to email too. Use your company name and logo at the top of all letterheads and compliments slip. You can reinforce your company name in the signature area after your messages as well. Constant reinforcing of your brand is crucial to the life of your business and once again you see the use of the company name used twice. Once in the Letterhead and once after the signature. At the beginning and end of each message. National or local, a custom number, can help do wonders when it comes to sales call centres or retail locations. While finding a custom vanity, a free number like 0800 can prove to be somewhat costly; you can still use local vanity numbers for your area even if you are a national business. You won't always have a short business name but by using industry words mixed with abbreviations for your company you can help reinforce brand image just the same. Be creative and you may find some easy and fun ways to implement your business name or niche into an easily recognisable phone number. In all advertising focus on how to include your company name and logo. Display and television ads always make sure you company name or logo is visible and always present. Contextual advertising always uses your business home page in the visible URL section to simplify the viewing of your business name. Also, ensure that you are consistent with all your point of sales materials and online properties. There are many other methods to add branding strategies into your marketing communications, just remember that every mention of your business name is another way to reinforce your company image to the consumer bringing recognition for your industry equaling into future sales. Anything that involves your business communication to consumers, businesses, employees, press, peers, etc. should always be branded. You will find that a good branding strategy can carry your business a long way and strengthen your company for future markets and endeavours. To summarise why branding is important for your small business it helps improve recognition, customer loyalty and also increase sales and not to forget it inspires employees too.